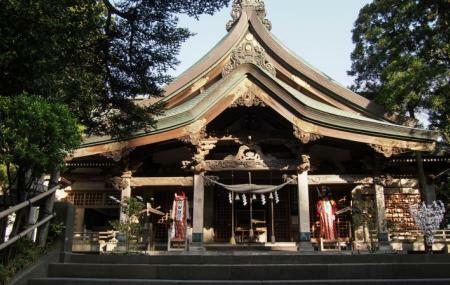 This ancient building is one of Japan's oldest shrines, built in 643 AD. The bulk of its nearly one million annual visitors probably happen along for New Year Celebrations, but the shrine's true devotees tend to be middle aged business men who regularly drop in for a short and silent prayer. Back in the Edo period, the main patrons of the Shrine was the Sakate Clan. Two lion gods guard the seisandotorii gate of the shrine; one's mouth is closed and the other's is open, symbolizing death and birth. How popular is Miyoshi Shrine? People normally club together Akita Akarenga Kyodokan and Kawabata Street while planning their visit to Miyoshi Shrine.